Once again Christmas comes to an end and the New Year of 2018 starts to set in. And for those of us within the telecommunications sector it is important to know that this new year 2018 is forecasted to bring us more change, development and larger growth. This for example can clearly be applied to the SD-WAN market. Reviewing other SDN / SD-WAN posts that we wrote in the past, I remember that we mentioned SD-WAN as a concept (to a certain extent in the future) and as a concept to gradually expand and gain in importance. 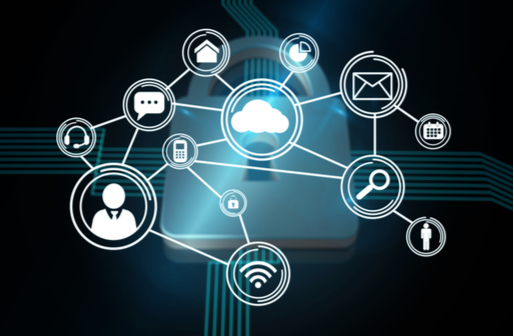 However, it can be clearly said that the SD-WAN market is now entirely with us, and the forecasts are that the growth in the SD-WAN market for 2018 will be significant. 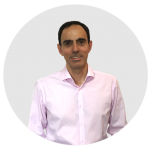 However, the year 2018, will not only be renowned for its growth in the SD-WAN market, but also because of developments and growth in other decisive markets. This year will be crucial for 5G, and perhaps more so in certain regions of the globe. Smart cities, industrial IoT, connected health, connected cars and much, much more will feed the large growth which is expected within the 5G technological market. Big Data, which has been with us for some years, is also expected to keep on growing at a relevant rate. Nonetheless, what is going to make 2018 such a significant year for the telecommunications market is due to many more technologies than just SD-WAN, 5G or Big Data. To mention but a few of these technologies that will experience far-reaching expansions in 2018… In-flight technology is expected to take off in 2018 and hence substantially improve the flight experience of passengers, in the same way that telecommunications technology has drastically changed the onboard experience of in-vehicle and rail travelers. New chip technology will increase the use of machine learning. Augmented reality is expected to bring a new era to eCommerce, and, of course AI (Artificial Intelligence) is going to surge ahead in 2018, both from the perspective of the software developers, who will look for the best business applications to use AI in and the semiconductor manufacturers who strive ahead to develop the best hardware technology for AI to work on. 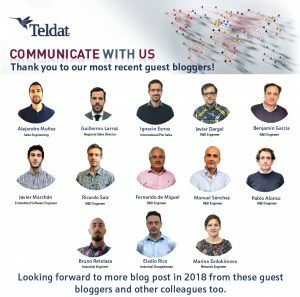 Once said these few words to develop our interest in what 2018 has ahead, let me just finish by saying that Teldat plans to continue informing its blog readers on all new technological developments for 2018, in the same way that we have done over the last years. 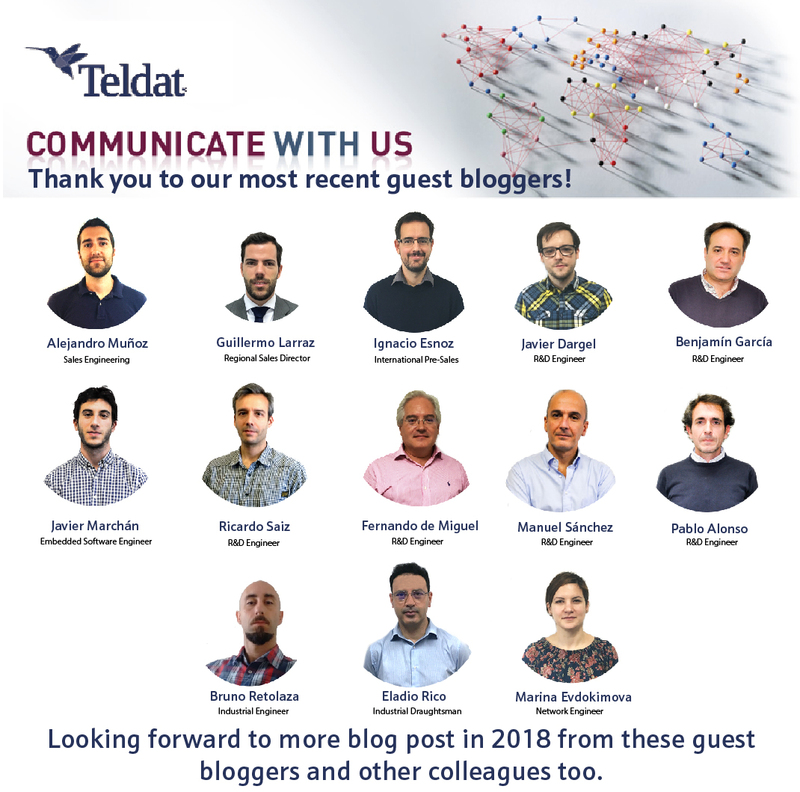 We will endeavor to offer you a varied set of articles from many bloggers, because our objective is for you to get to know those engineers within Teldat, who play that crucial backend job within Research & Development, Support, Marketing, etc. For they are the people within our team who have the “knowledge” to communicated to our followers and of course, they are the ones who develop and take to market our advanced products and solutions. Attached is a collage of all Teldat guest bloggers (those from other departments apart from Marketing). So, until our next blog post, may I wish all our followers, a very Happy New Year for 2018!